Nigel Pass has always been on the tour schedule as far as I can remember; and since the older tour leaders had not offered to lead, it I did. Jeff kindly offered to assist and so we had a trip. The Ramparts Hostel has a new- to- us- hostel parent, nice guy from the east. 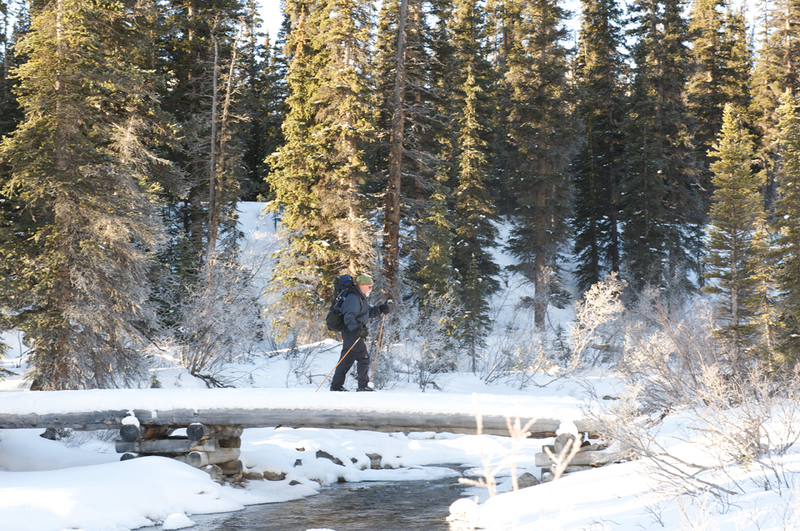 This entry was posted in Jasper National Park, Mountain Tours, Trip Reports and tagged Backcountry Skiing, Cross-country Skiing, Nigel Pass, XC Skiing on 2012/01/01 by parkland. Cold Weather And Poor Snow For Nigel Pass Season Opener! Minus 20º Celsius temperatures didn’t deter a dozen club members from heading up towards Nigel Pass for the first back country trip of the season. The initial plan was to spend Saturday doing turns at Parkers Ridge but some prior scouting on Friday by Vance and Derry found that snow conditions were not favorable for turns so we switched to Plan B and headed for Nigel Pass. This entry was posted in Jasper National Park, Mountain Tours, Trip Reports and tagged Alpine Touring, Backcountry Skiing, Cross-country Skiing, Nigel Pass, Telemark Skiing, XC Skiing on 2010/12/01 by parkland.